A man walks on an uneven sidewalk on 25th Street in West Campus. Sections of pavement on 25th Street need improvement in order to be ADA compliant. The 2012 Campus Master Plan included recommendations for 10 streets on the UT campus, including Speedway, Inner Campus Drive and Dean Keeton, to improve pedestrian and cyclist quality of life. While parking is coveted on campus, it does not enhance its environment, said David Rea, associate vice president for Campus Planning & Project Management. Parking on campus 20 years ago consisted almost entirely of surface parking, which made up 90 percent of total available parking. Since then, UT constructed six garages and has two more under construction right now. One of the most common recommendations in order to improve pedestrian and cyclist quality of life calls for removing parking spots on these streets to make room for wider walkways and bike lanes. This follows the trend of moving surface parking to structured parking and allows campus to expand, Rea said. “The vacated surface parking lots have allowed campus to add new buildings in the area of campus to the north and east of the 40 Acres, which has increased campus density in those areas to a level equal to the 40 Acres — without removing green space,” Rea said. 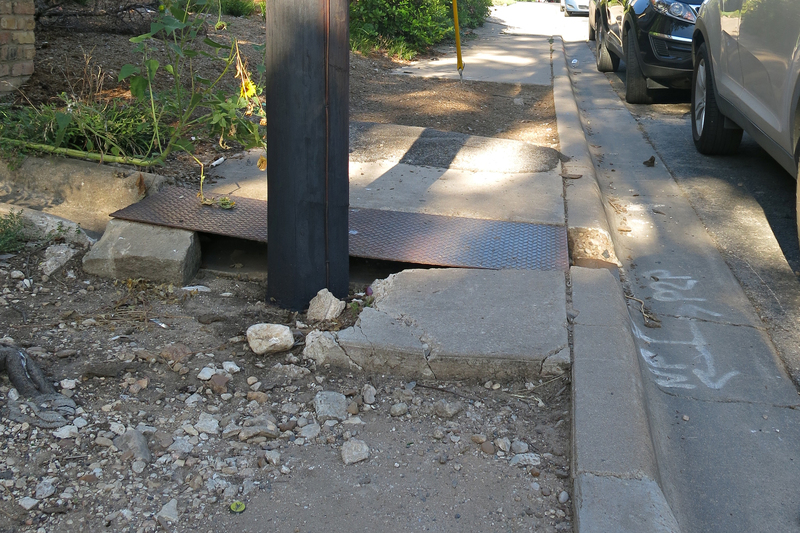 Sidewalks in Austin have recently gotten attention when KUT reported the city has only built half of the sidewalks it planned to since 2009. John Eastman, project manager of the Sidewalk and Special Projects division in the Public Works Department, oversees the implementation of Austin’s Sidewalk Master Plan. A project of this scale requires prioritizing where sidewalks are needed using factors such as population density and transit location, Eastman said. The growth coincided with a time when the automobile was viewed as the new, modern form of transportation that would take over pedestrians, Eastman said. The Sidewalk Master Plan takes into account streets adjacent to the University. Although UT has no jurisdiction over streets like Guadalupe and Dean Keeton, they are integral to student quality of life. Students showed interest in participating in the city’s transportation corridor study of Guadalupe. Austin’s Sidewalk Master Plan also includes West Campus improvements. The West Campus area, one of the most traveled by pedestrians in the city, was designated a parking benefit district a few years ago. The City allocated funds for improvements in the area — which is currently generating $100,000 a year — and plan to continue improving the area through funds raised from the parking benefit district program.